Shipping: Tilauksen toimituskulut näet tilaussivulla. 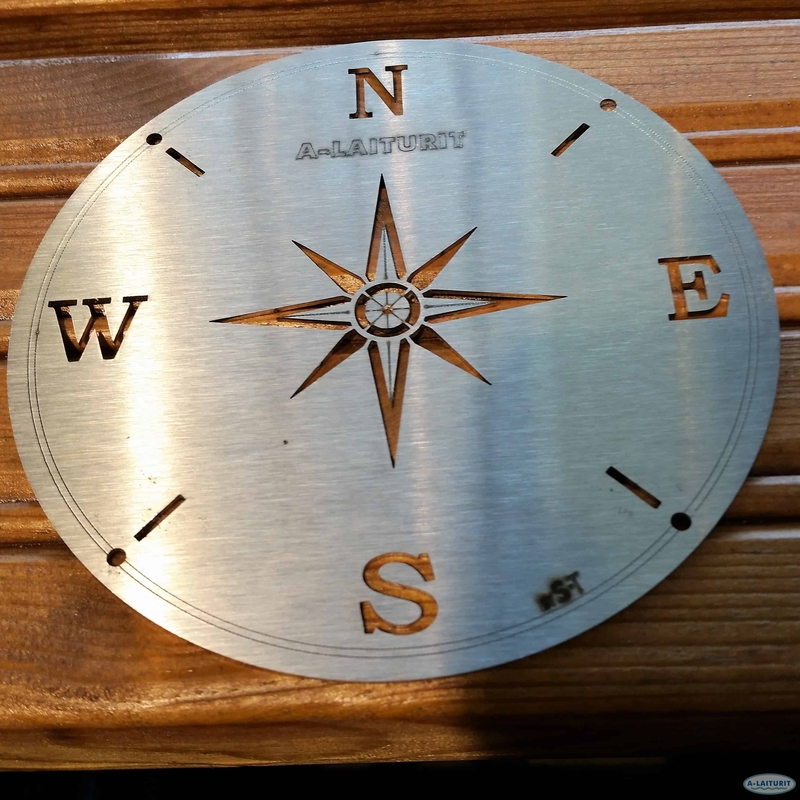 Compass rose 110mm HST is a plate showing the cardinal directions which can be fastened to the deck of a dock or other surfaces. 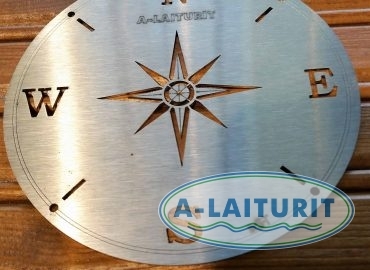 The pattern of the compass rose is designed by primary school student Suvi-Tuuli Vähätalo and is a variation of the compass on board La Ninã. La Ninã was one of the three ships that Christopher Columbus used to cross the Atlantic in 1492. The other ships were Santa Maria and Pinta. 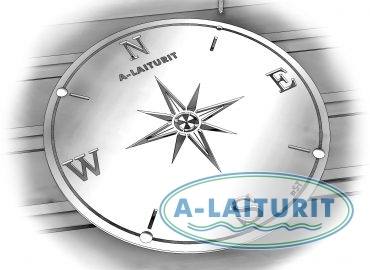 Installation: Pick a suitable place for compass rose. 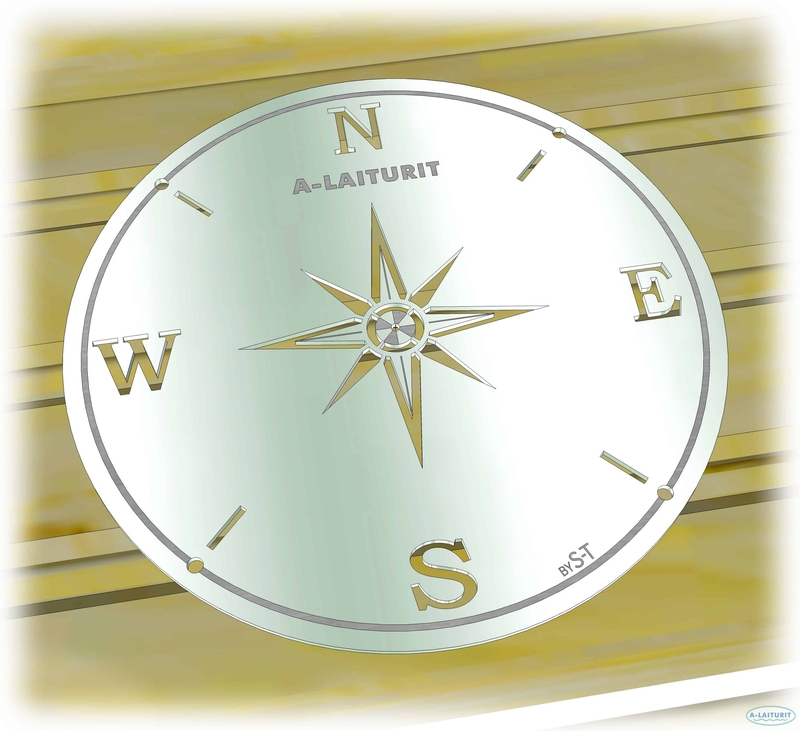 Check the cardinal directions by aid of a compass or a map. 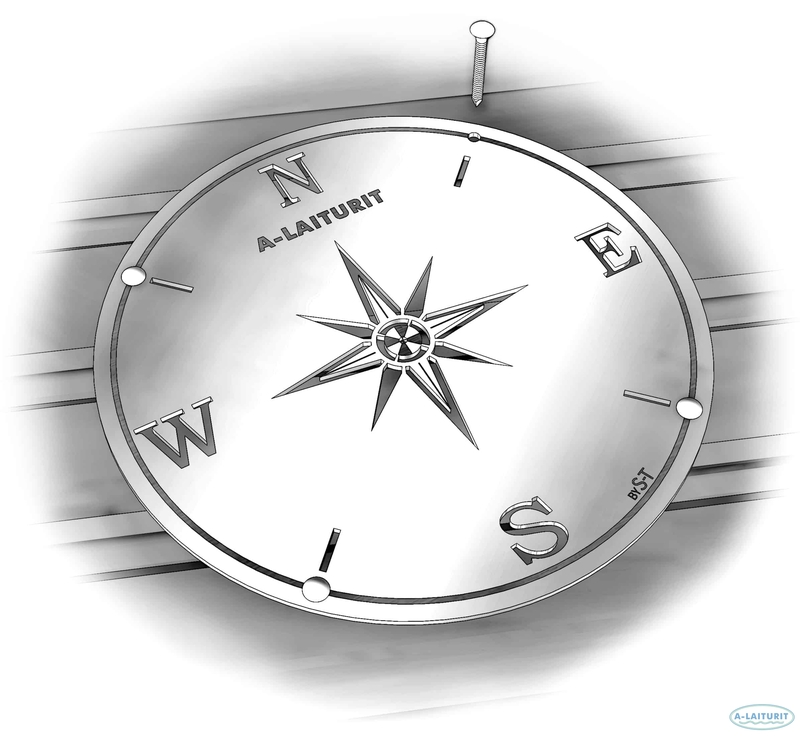 Turn compass rose as to correspond to the cardinal directions. 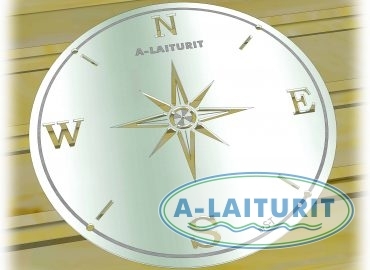 Fasten the compass rose through the installation holes of the frame by four of the nails included in the package.